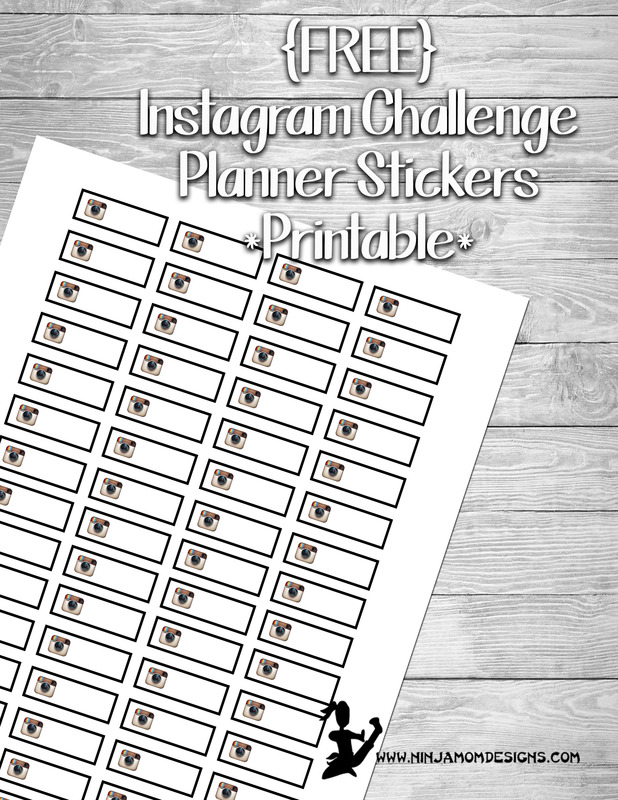 Do you have a monthly Instagram Challenge coming up??? Never forget what the challenge is with these stickers! These boxes can be used in your favorite planner. They are sized 1.5 inches by .5 inches. Perfect for the weekly layout pages. Do you follow Ninja Mom Designs on Instagram?? ?